Radiohead guitarist Jonny Greenwood has spent much of the last 10 years composing film scores and soundtracks. For his latest endeavor he's teamed up with the National's Bryce Dessner to release the modern classical album St. Carolyn By The Sea. 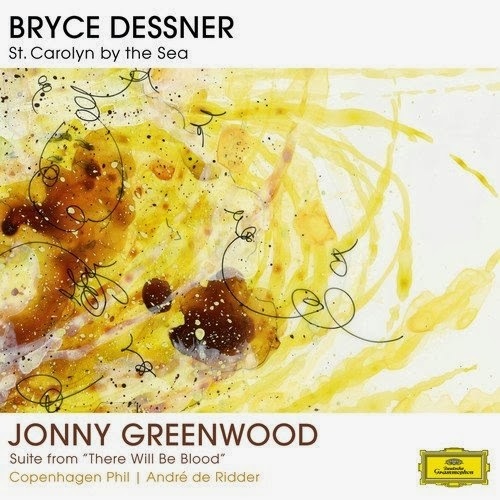 The first three pieces of music were composed by Dessner, and the rest of the album is a series of Greenwood compositions originally released on the 2007 soundtrack There Will Be Blood. The symphonic album was performed with the Copenhagen Philharmonic Orchestra and was conducted by Andree de Ridder. St. Carolyn By The Sea is out on March 3rd and is streaming ahead of its release this week over at Pitchfork.